Hey, Mister That’s not a Donut! Except for their excellent coffee, I don’t know what the management of Mister Donut is doing with their donuts. 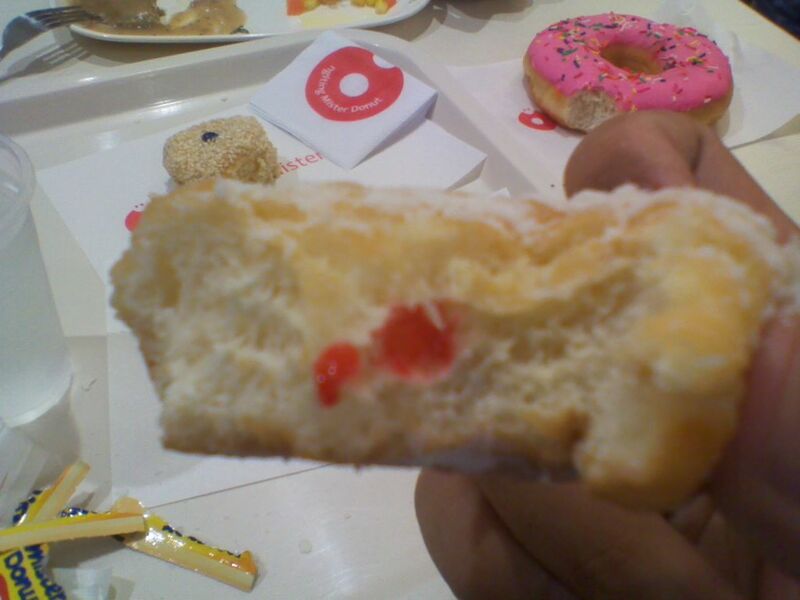 Krispy Kreme has taken over the market of Gonuts Donuts and Dunkin’ Donuts has created more noise to thwart whatever effort the American donut company is doing to the mindsets of Filipinos and Mister Donut is doing their share to keep themselves in the donut map of our consumers’ world. And there's still a third of the bread. Shame. I enjoyed Dunkin’ Donuts’ new offering especially their Php45 big donuts that made my sweet tooth sing in glee but Mister Donut’s donuts are wanting in everything. They have no new offering, no new variants to speak of, and no new market going in for them. Why? Just look at their Php10 jelly donuts?! Mister Donut is still doing marketing the old fashioned way – thinking they’ll be on top of mind of consumers who are going to shell out Php10 on a donut. If that was the case then we should’ve said bye-bye to Krispy Kreme but nope. They forget that they’re selling a quality brand that was birthed in 1956. They’ve got legacy like Dunkin’ Donuts has and they’re not playing this to the hilt. People can pay for a Php25 donut. 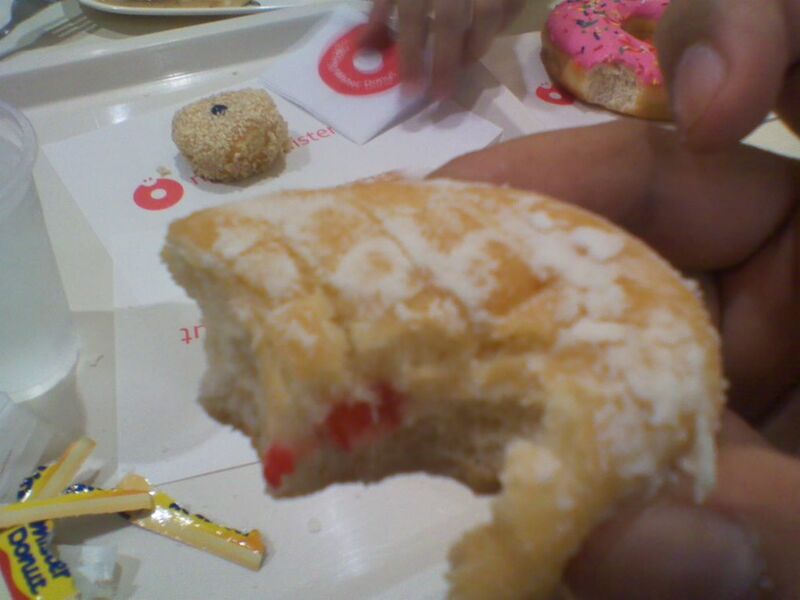 A donut that’s filled with all the jelly I could lick. In this showing, however, they lost me. Well, almost. I still love their donuts and their cheese-full plate of spaghetti and that’s not something to cheer about if you ask me. They got Bagels, Cupcakes, and a lot of good stuff that Dunkin’ Donuts is not capitalizing on. I hate too much sugar for crying out loud and they don’t want to come out as an alternative. In fact, they compete with Dunkin’ Donuts in the same beat that they can’t dance to. I pity their donuts and I hope they can do way much better than cheat their customers with pathetic-looking fruity, sugar-filled breads.